Winding up in the hands of a shadowy organisation known as the Daemonium, Badrick Varner learns a terrible truth. Demons are real, and they are trapped within the souls of humans. 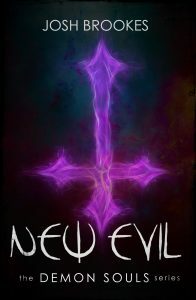 As host to his own hellspawn, Badrick must fight to control the darkness within him and use his newly discovered powers for the benefit of mankind, or face eternal imprisonment. But when evil is your only ally, can good truly prevail? Overcome with rage, Zale abandons the Daemonium to pursue revenge against Lucikefer. However, the threat of the Royal is overshadowed by the emergence of a far darker and more powerful force. With an army under their command, this new darkness begins a reign of terror only the Daemonium can stop. 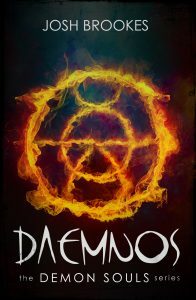 Daemnos was just the beginning . . . 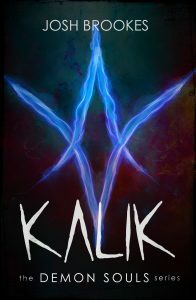 The Daemnonium must now recover after the chaos caused by the Kalik army, maintaining order despite the destruction. But a new evil is rising. Though the agents have the puppet, the puppeteer still eludes them. Unseen and unknown it outwits them at every turn, and it soon becomes clear that not even Badrick and Daemnos might be able to stop it . . .